I arrived in Dubai at 4.45 am to catch a flight to Tehran. I am always amazed when I travel to or through Dubai how busy the airport is throughout the night. 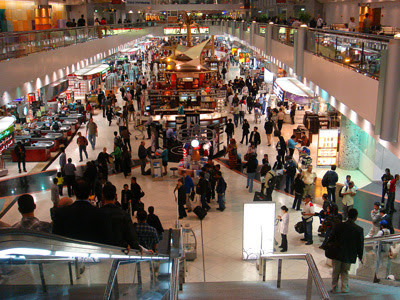 Most other airports quieten down between midnight and dawn, and some with curfews close down completely, but Dubai International Airport is as busy at 5 am as it is as 5 pm with planes arriving and departing around the clock. It occurred to me that the duty free shops at Dubai airport could well be the busiest shops in the world at 5 am.